The Fed formalized its dovish turn, that it started making after its rate hike in December, in its January statement and press conference. In shifting guidance and policy in the dovish direction, the Fed resumed its dependency on the stock market that it exhibited under Bernanke and Yellen. In 2018, investors thought Powell was different because stocks fell on FOMC days 7 straight times. 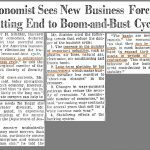 Many Austrian economists praised Powell for being different as they feel rates need to be higher. However, Powell and the rest of the FOMC eventually blinked late last year after the S&P 500 fell 20%. Powell allowed the stock market to fall more than his predecessors, but he eventually gave in. To be clear, monetary policy is not the only factor that affects stocks. 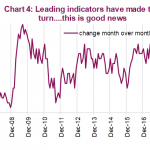 At the end of 2018, investors were worried about the global economic slowdown. Instead of calming the markets, the Fed raised rates in December. Lowering guidance to 2 hikes in 2019, wasn’t enough to change sentiment. Powell’s statement that the balance sheet unwind was on autopilot made traders think he was out of touch. The interesting aspect to the Fed’s January statements and press conference is that the S&P 500 had rallied sharply in 2019. If you assumed the Fed would react to stock market action, you may have considered the possibility that the Fed would be neutral since the sentiment tide has turned. However, the Fed went all in on the dovishness as it still was reacting to the December decline. As you can see from the chart below, the number of hikes expected in 2019 and the S&P 500 were correlated in 2018. The expectation for 2 hikes in 2019 and the guidance for 3 hikes, were partially why stocks topped in September. Stocks then bottomed when rate cuts in the next 2 years were priced in and the Fed moved dovishly. By making a dovish statement in January, the Fed is allowing stocks to rebound without having the natural inhibitor that is the expectation for more rate hikes. This explains why the S&P 500 increased 1.55% on Wednesday following the FOMC. There is currently a 74.2% chance the Fed does nothing in 2019, a 0% chance it hikes, and a 25.8% chance it cuts. The red line above shows the 2020 expectations; traders expect one rate cut next year. It’s important to take that with a grain of salt because if the economy strengthens and stocks rally, hikes might be priced in. The market has a bad track record at predicting policy outside of the near-term meetings. The Fed may have made its most dovish turn since 2016. We will review the specifics of this dovish turn in the next section. The chart below shows the shift in the median dot plot projections from September 2015 to September 2016. Expect the yellow line that is the December guidance to shift lower. The Fed was guiding for 3 hikes in 2019 up until the December meeting. The Fed won’t update its dot plot and economic forecasts until March, but the statement implies zero hikes in 2019. Furthermore, Powell did a complete turnaround on the balance sheet. He mentioned the Fed being on auto pilot in December. Now the Fed is open to the possibility of changing the unwind schedule if there are changes to the economy and markets. It took a 20% decline in the S&P 500 to reverse course on everything. This could lower the Fed’s credibility and specifically Powell’s because for the first few months of his tenure some investors believed he wasn’t going to respond to the whims of the stock market. To be fair, economic growth is slowing. However, growth was slowing in October when Powell made hawkish statements. He only changed his tune after the stock market fell. This change is smart because growth is probably weakening, but it looks bad because the Fed reacted to stocks instead of the data. Heading into the statement, there was a zero percent chance the Fed would hike rates. Not hiking wasn’t the news. The news is the few dovish changes made to the statement. We suggested prior to the meeting that the Fed might be neutral because of the lack of economic data. However, since the Fed reacted to the stock market volatility last year, it didn’t really need much data. Alternatively, you can say the Fed had a delayed reaction to the slowdown and the stabilization of inflation. The Fed shifted to calling the economy “solid” instead of “strong.” The shift away from a strong economy occurred way before this January meeting, but the Fed has been behind the curve. To be fair, it’s difficult to determine the difference between a bump in the road and a developed world economic slowdown seen in the chart of developed PMIs and developed industrial production. The issue at hand is the Fed being ultra-reactionary to falling stocks and less to slowing growth. Despite rising wages, the Fed is now less concerned with inflation. It makes sense to be less concerned with wages because they haven’t driven inflation. However, that’s not the argument that was made last year when the Fed was hiking. In its January statement Fed wrote, “market based metrics of inflation compensation have moved lower” and that there are “muted inflation pressures.” The Fed has been getting help from moderating shelter inflation due to the slowing housing market. Now we will focus on the two biggest changes. 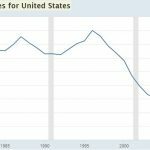 The Fed got rid of the phrase “further gradual increases” and stated it “decided to maintain” rates. Without gradual rate hikes in the Fed statement, it’s fair to think rate hikes aren’t going to occur in 2019. Then the Fed added that “the Committee will be patient.” That makes it obvious the Fed is pausing rate hikes. This statement was so dovish that it would take several meetings for the Fed to start talking about rate hikes again. It’s easy to turn dovish quickly, but hard to turn hawkish quickly. The Fed added another statement that was about the balance sheet because the point that it was on autopilot spooked traders in December. 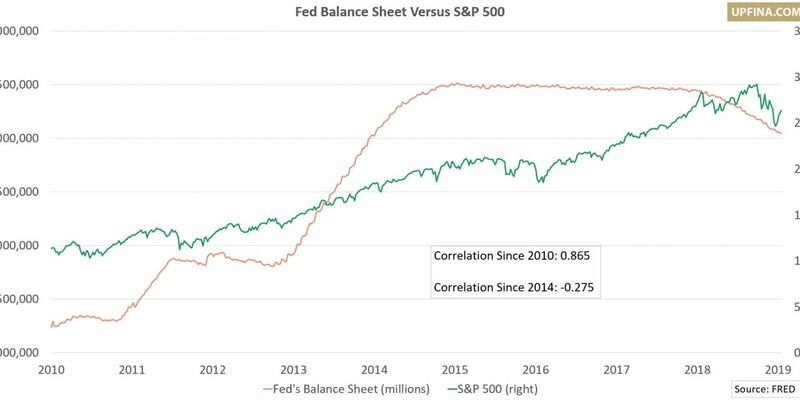 That one reaction goes against the stock market’s historically low correlation with the balance sheet going back to 2014. The new statement was two paragraphs. The key points were that there will be “an ample supply of reserves” and that “the Committee is prepared to adjust any of the details for completing balance sheet normalization in light of economic and financial developments.” This is diametrically opposed to the balance sheet unwind being on autopilot. The Fed stated it will leave the balance sheet relatively large and will use it again as a policy tool to fight economic weakness. The Fed has been dovish for a few weeks now. That’s partially why stocks have been rallying since Christmas Eve. Instead of looking at the recent rally and moderating its tone slightly the Fed went full throttle with dovish rhetoric which shows the Fed was spooked by the December crash. This dovishness could fuel a further rally in stocks. The ‘Goldilocks’ sweet spot would be a modest improvement to economic growth while the Fed pauses hikes. 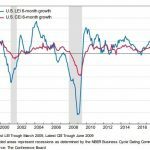 Assuming economic growth is stable along the average of this cycle, it’s important to point out that this shift in Fed policy does not mark the end of the business cycle, and does not mean that QE4 is coming next nor that the balance sheet unwind is completed, nor that there are no more hikes on the table this cycle. NextIs The Economy Telling Us Something New?